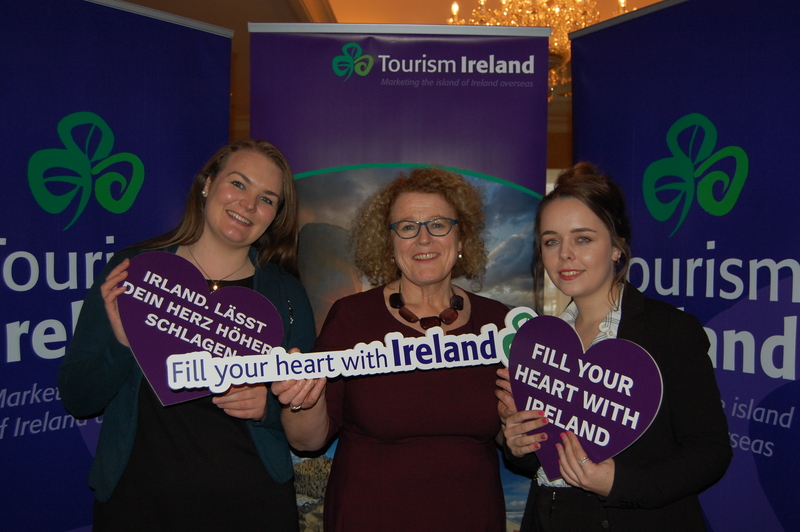 Fill Your Heart With Ireland – that will be the tagline that will become known right across the globe in 2019 as Tourism Ireland launched its marketing plans for 2019 at the InterContinental Hotel in Ballsbridge, Dublin. Shane Clarke, Director of Corporate Services & Policy for Tourism Ireland welcomed guests into a packed auditorium for the event. Joan O’Shaughnessy, Chairperson of Tourism Ireland gave an introduction and the audience heard an address by the Minister for Transport, Tourism & Sport, Shane Ross T.D. The Marketing Plans presentation was given by the Chief Executive of Tourism Ireland, Niall Gibbons. This is the first new global campaign in seven years. “It’s about seasonal extensions and regional growth. It’s about actively promoting off-peak holidays, it’s about promoting new icons,” said Niall. The new promotional package includes television adverts that will feature the West and Northern regions of Ireland in the first half of 2019, with the South and Eastern regions being the focus in the second half of the year. Tourism Ireland currently hold a global digital reach of one billion people and hope to expand on this figure in the coming year. An ad campaign launched in North America on St. Stephan’s Day, linked-up with television channels from the East to West coast of America. 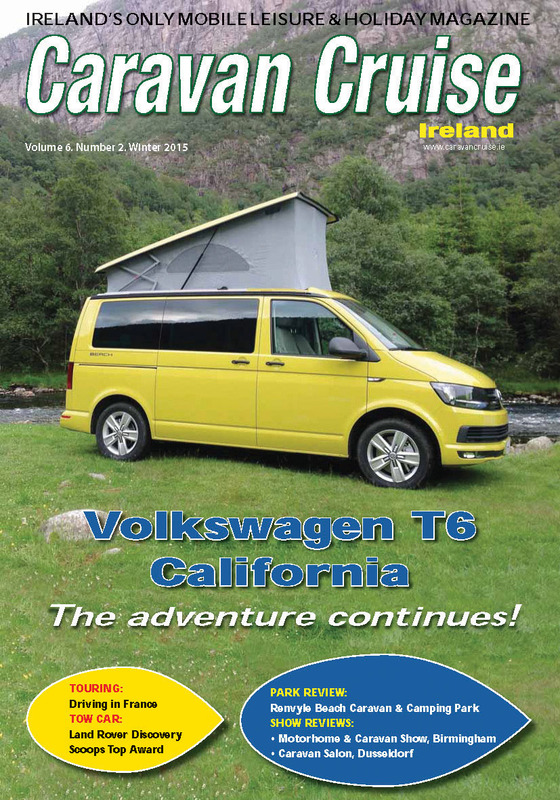 Extending the high season in Ireland should see a positive result in the motorhome and caravanning sector, with an emphasis being put on scenic road routes such as the Wild Atlantic Way, Ireland’s Ancient East and Ireland’s Hidden Heartlands. Such promotional journeys invite visitors to explore and move destinations, making them more attractive for caravan and motorhome owners. Tourism Ireland is also in partnership with Bunk Ireland and Camping Ireland. 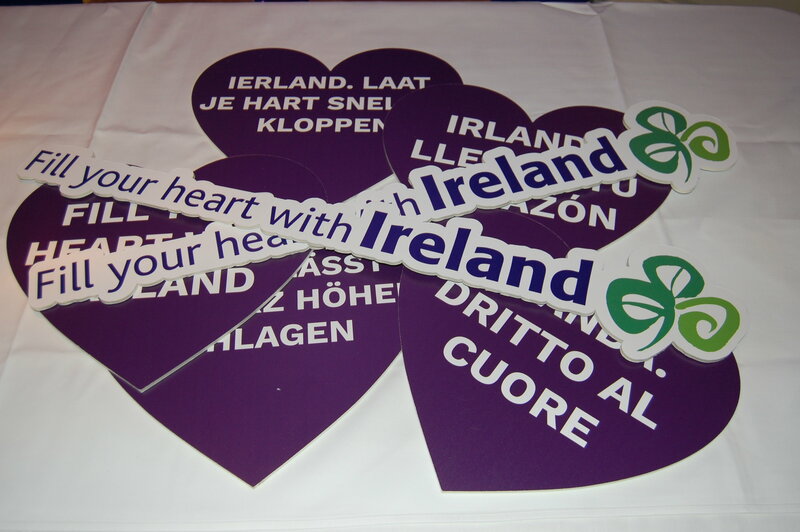 The ‘Fill your heart with Ireland’ advertising campaign was first broadcast in French cinema on 18 December featuring on TV1 and France 2 television channels between January and April. This television campaign has a regional reach of approximately 18m people. Air access to Ireland from France will carry 30,000 seats per week however; research has shown that 53% of people in France bring their car on holiday. “This is a great opportunity to continue working with the ferries as well,” said Niall “People who travel by ferry, stay longer, spend more and visit the different regions”. According to research by Fáilte Ireland, nearly four in ten French holiday makers return to Ireland for a repeat visit. They also found that these holiday makers enjoy getting off the beaten track, away from perceived tourist traps. This is a good sign for caravan parks and glamping sites that offer a unique holiday destinations, as the French market are also drawn to places that provide a sense of freedom and means to explore. The research also identified some key features of interest, specifically attractive to the French market. These are; unspoilt landscapes – both greenery and coastal, sedate activity – for example, boat trips, historical interest in an area and authentic experiences with Irish Culture – the pub is seen as a gateway access to local people and culture. Continuing a strong relationship with the major ferry companies will ensure the continuation of more mobile travel both to and from France. Julie Wakely and Judith Cassidy of Tourism Ireland gave a presentation on the British Market and the first point of discussion was how Brexit may affect the future of British Tourism in Ireland. “The latest ONS data took a snapshot of the market from April to June last year and it showed that trips to Europe were up by 1% and holidays overall were up by 3% which is a small but positive step,” said Julie. However, the Pound has had quite a tumultuous time during the Brexit negotiations and as a result, sterling is at least 10% below where it was in 2016 before the negotiations, making holidays abroad, significantly more expensive for the British traveller, so outbound travel from Great Britain remains a concern. “We have to concentrate on the advantages that are we have as their closest neighbour,” added Julie. “We have 156,000 airline seats each week and very good ferry capacity over the winter which we plan to improve upon this year,” As part of a wall conversion earlier this year, Tourism Ireland partnered with Ryanair and wrapped 300 buses in London and Liverpool, using the same imagery and content as the wall campaign, leading with the price points to airports along the Wild Atlantic Way. Tourism Ireland continue strong relationships with the sea carriers, Irish Ferries and Stena Line, carrying out many digital campaigns throughout the year as well as in print and on Radio. “One example of a print campaign was very much about taking your car and driving around Ireland’s Ancient East and exploring that. It also had a very good lead-in price at 25% off as we know that’s quite important now in the British Market,” said Julie. For next year, Tourism Ireland has teamed up with Travel Zoo, which is undertaking a large St.Valentine’s weekend campaign. Interestingly, Travel Zoo has carried out a survey on Ireland and out of 2000 respondents, a whopping 67% thought that Ireland was a really romantic destination. CSO figures indicate an increase of +7.1% of overseas visitors arrivals during the January – October period, that is an additional 605,000 arrivals over the same period last year. Tourism Ireland’s aim is to grow overseas tourism revenue in 2018 to €6 billion, for the island of Ireland.